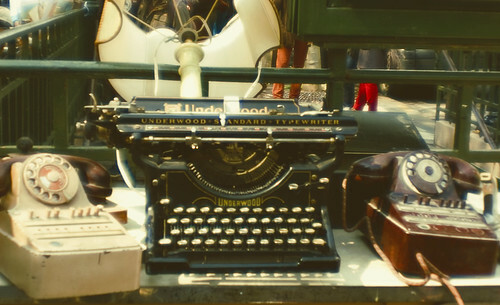 At a young age, I began to be fascinated with typewriters, (thanks to my Grandma Cook.) I used to love to run my fingers over the shiny black keys and listen to the click as I’d press down. Someday, I hope to own one just like this. Of course this caught my eye as I was walking past. 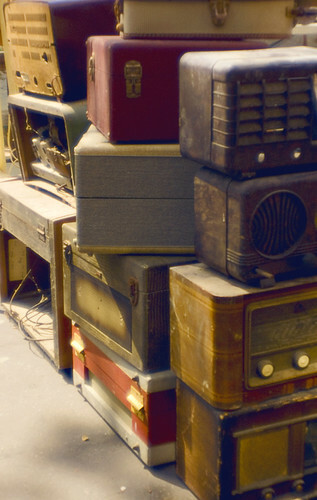 I have a fascination of old things and the stories they can tell. 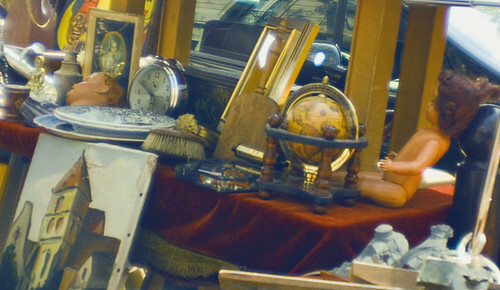 This week I’ll be posting photos that I’ve taken at different street markets in Paris. 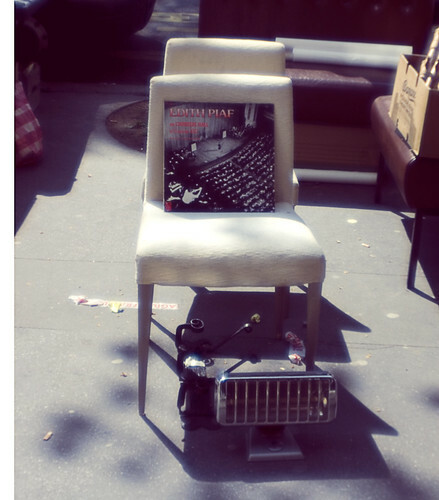 Today’s photo features a record from the infamous Edith Piaf placed on a chair.